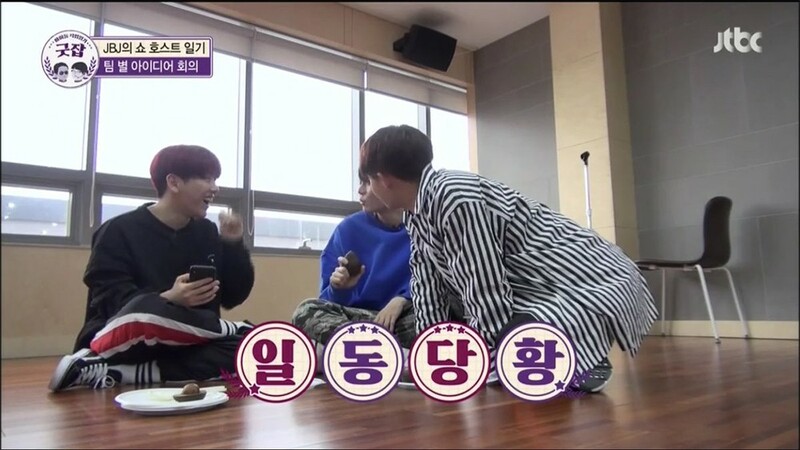 JBJ's Noh Tae Hyun learned something shocking about avocados. 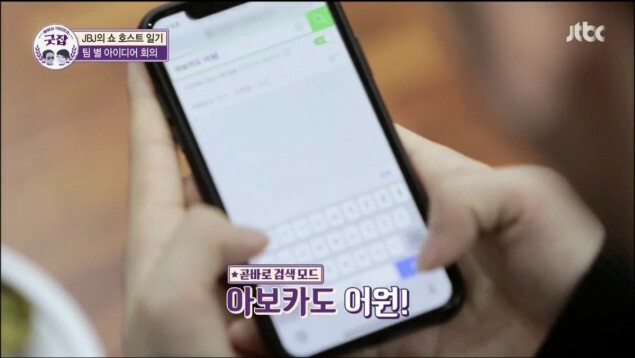 JBJ is currently on the show 'Idol Work Journal: Good Job', which features idols as they try their hand at other jobs. 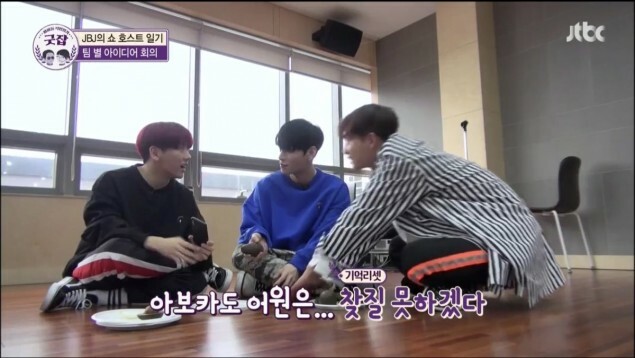 JBJ's Noh Tae Hyun, Kim Sang Kyun, and Kim Yong Guk were going to market avocados, and they decided to look up the origin of the word 'avocado' to use in their marketing strategy. 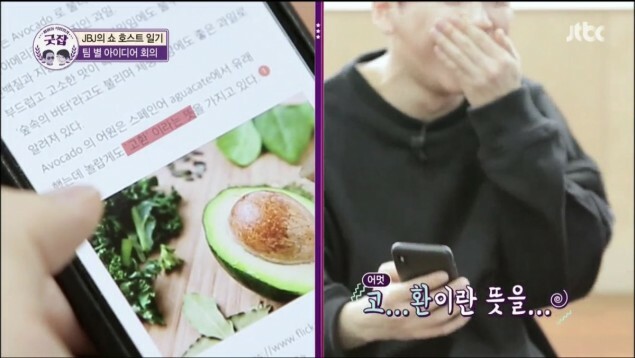 Noh Tae Hyun looked it up and was shocked to find that the word comes from the Aztec word 'aguacate', which means testicles. The trio were flustered at what they found, and decided in the end to erase it from their memory and joked, "I can't find the origin of the word." You can check out the moment below.